Bathroom Remodel Springfield Virginia. 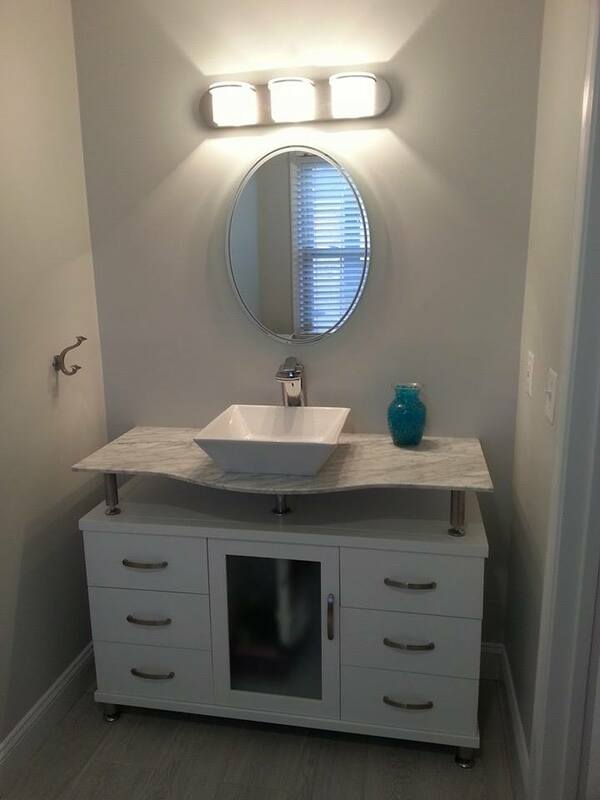 New Carrera Marble top Vanity with white basin sink. mirror, light, gray walls.